Supposedly, if you mention the words "Lady Gaga," your internet traffic will skyrocket. Let's try it. I do have a reason to do this - it's not completely gratuitous. My amazing college friends and I met up for Gaga's show in Charlottesville. I know, far afield from D.C., but those Verizon tickets sold out in a snap. I was able to get six tickets together at the UVA arena, so off we went. How cute is she? 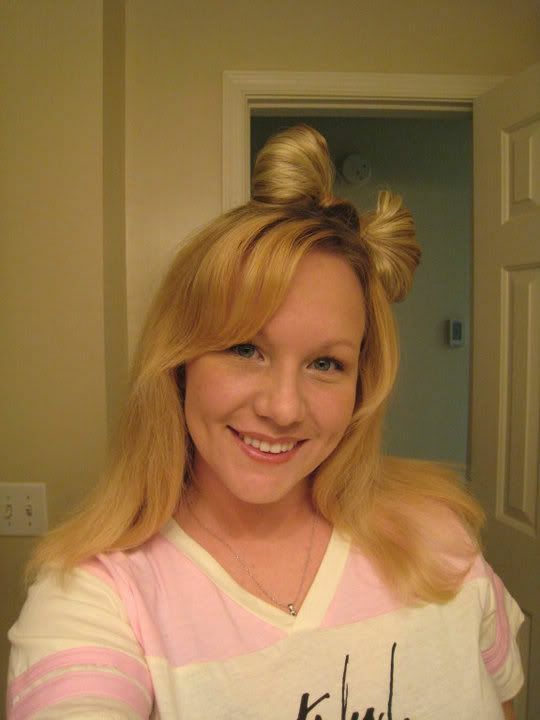 Just a little fake hair, some styrofoam, and voila! Don't ask me how she got it to stay firmly secured to the side of her head. 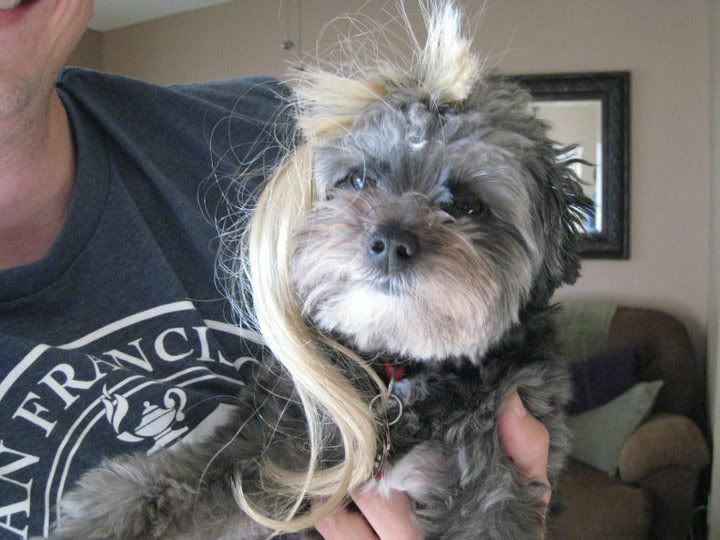 Sadly, they didn't allow dogs at the Monster Ball, no matter how fabulous their extensions. Tori's puppy Isabel had to stay home. Posted in Music, Friends & Family and tagged with Lady Gaga, Concerts. September 22, 2010 by Adele Chapin.